I think my own lack of skill when it comes to handicrafts gives me all the more appreciation when people can make these cool creations. These were some paper crafts I saw recently at my daughter’s school. 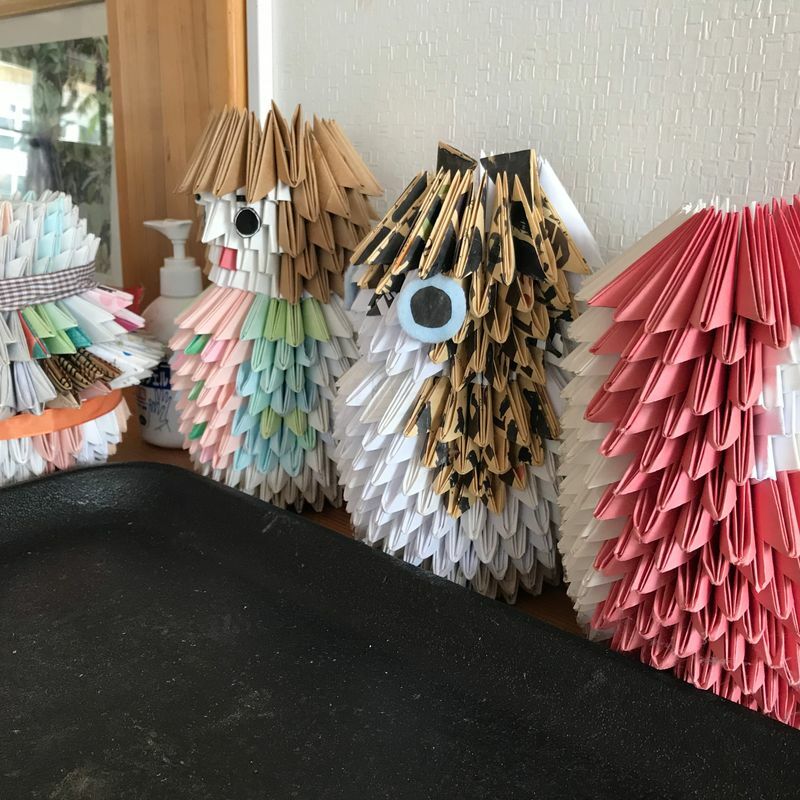 There’s an owl, a daruma, and a whole bunch of other folded paper creations by one of the classrooms. I’m guessing one of the teachers made them, but I thought they were such a fun display! Would love to know how to make them myself - got to see if I can find a beginner level tutorial online! I'm furious and I need to vent!